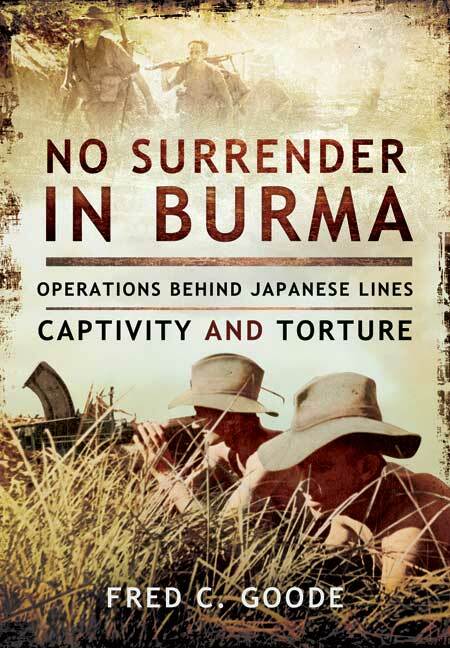 I have recently finished reading 'No Surrender in Burma' and what a fantastic book it really is. It is the story of Lance Corporal Fred Goode, formerly of the Duke of Cornwall's Light Infantry and describes his involvement in SSD2, a lesser known Special Forces Operation in 1942. SSD2 was a precursor to and certainly an influence for the Chindit type operations that followed. The book takes Fred's story from the SSD2 operation into the Thai border to check on the Japanese advance and disrupt their positions in that area, through his epic march out towards the Yunnan Provinces of China and his eventual capture by the Japanese at a place called Sadon. Fred survived his time as a POW in Rangoon Jail and was repatriated soon after the Allies had re-taken the city in 1945. This testimony was written by a man with a steely determination to survive and the self-confidence to ensure he succeeded. This is the extraordinary true story of a British Commando in Burma who, cut off behind enemy lines, walked 2,000 miles towards India and freedom in 1942, but was betrayed to the invading Japanese only 20 miles short of his destination, tortured by the infamous Kempeitai and finally incarcerated as a POW in Rangoon's notorious Central Jail for the rest of the war. Lance Corporal Fred Goode was one of 50 men of Special Service Detachment II (Middle East), whose role in 1941 was to support Chiang Kai-shek's forces fighting in Japanese-occupied China and to train Chinese guerrilla units in demolition and resistance. With Japan's entry into WW2 in December that year, they were tasked with destroying airfields and taking bullion to India. When they were overtaken by enemy forces before crossing the Irrawaddy River, their CO instructed them to split into four groups and head for India or Yunnan. Of the original 50 men, only Fred and seven others survived. While not an educated man, Fred tells his extraordinary story of endurance and survival with brutal honesty. His account makes for compelling reading.